Well done to our three Year 6 pupils, all of whom reached the finals of the prestigious Leeds Peace Poetry Competition Final. Feargus had further success when he claimed the runner-up certificate. 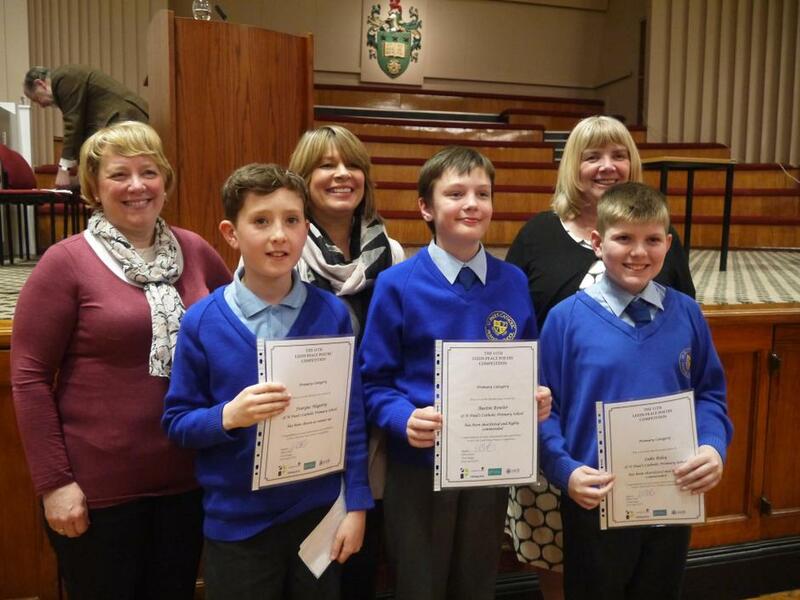 The competition was open to all the schools in Leeds, with hundreds of entries and the boys reached the final ten in the Primary School category. Their poems were written during the Year 6 poetry unit based on the poetry of the First World War poets and the theme of 'peace not war'.